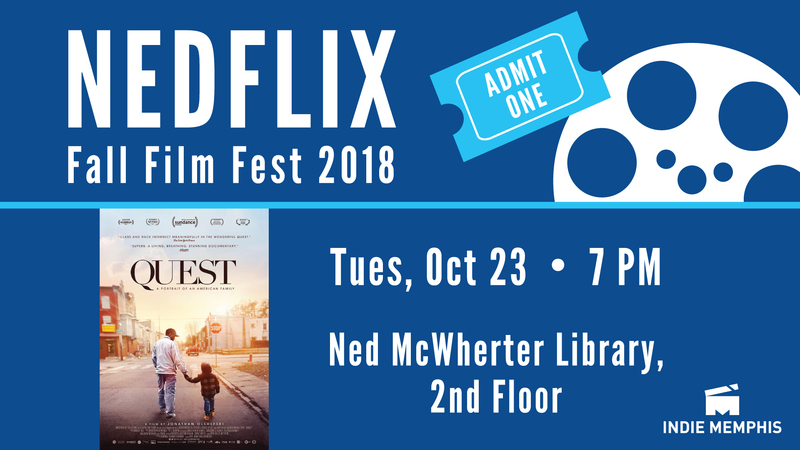 Join us for a NEDFLIX Fall Film Fest showing of Indie movie QUEST: A Portrait of An American Family in appreciation of Indie Memphis! Synopsis: Filmed with vérité intimacy for nearly a decade, QUEST is the moving portrait of the Rainey family living in North Philadelphia. Beginning at the dawn of the Obama presidency, Christopher "Quest" Rainey, and his wife, Christine'a "Ma Quest" raise a family while nurturing a community of hip hop artists in their home music studio. It's a safe space where all are welcome, but this creative sanctuary can't always shield them from the strife that grips their neighborhood. Epic in scope, QUEST is a vivid illumination of race and class in America, and a testament to love, healing and hope.